Our Norwood Dental Practice Will Make You Smile! Welcome to my website. For close to thirty years, I have prided myself on continuously providing the latest advances in dentistry. My practice is located in Norwood, Massachusetts and we proudly treat patients in the surrounding communities including Westwood, Canton, Walpole, and Dedham. We are conveniently located one block from Norwood center and within equal walking distance from both Norwood Depot and Norwood Central train stations. 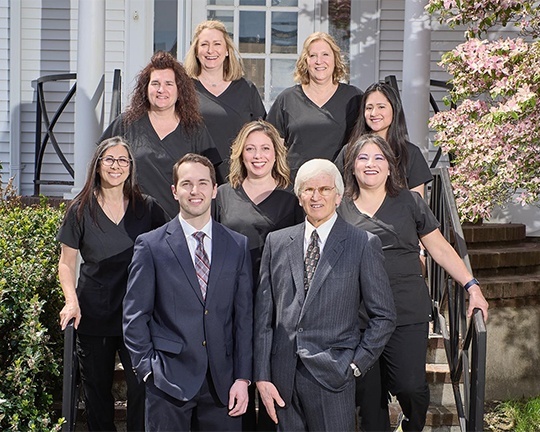 Here at Norwood Dental Care, my staff and I are committed to bring you the highest standard of care available, all with one result in mind… a healthy, beautiful smile! All images of dental treatment, and especially smiles, are photos of my work performed on my own patients. In our state-of-the-art office, we offer our patients quality dental care in a warm and relaxing atmosphere, while using the latest technology and techniques. We are currently accepting new patients, and we participate with most dental insurance plans. We even have our own in-house membership plan for patients without dental insurance. We look forward to exceeding your dental care expectations.